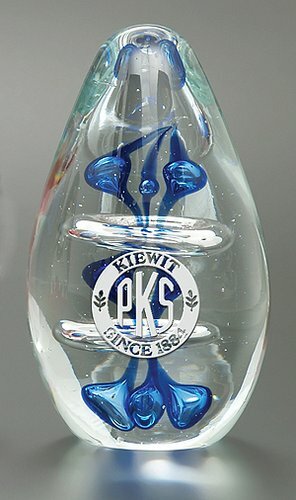 Aquatic Art Glass will capture your logo like no other. From the initial stages of hand cutting patterns for the internal colors, to the skill of the glass artisan as he rolls the egg design in molten glass; every art glass award is created with a personal touch. Price includes a one location engraving of your logo or custom design. Second location engraving is an additional $3.00 per stem. Each art glass award is individually hand crafted. No two items will be alike in shape, weight, size or color and will vary slightly in each piece. Art glass pieces are individually crafted and may have bubbles or minor imperfections such as chill marks and are not considered defects. 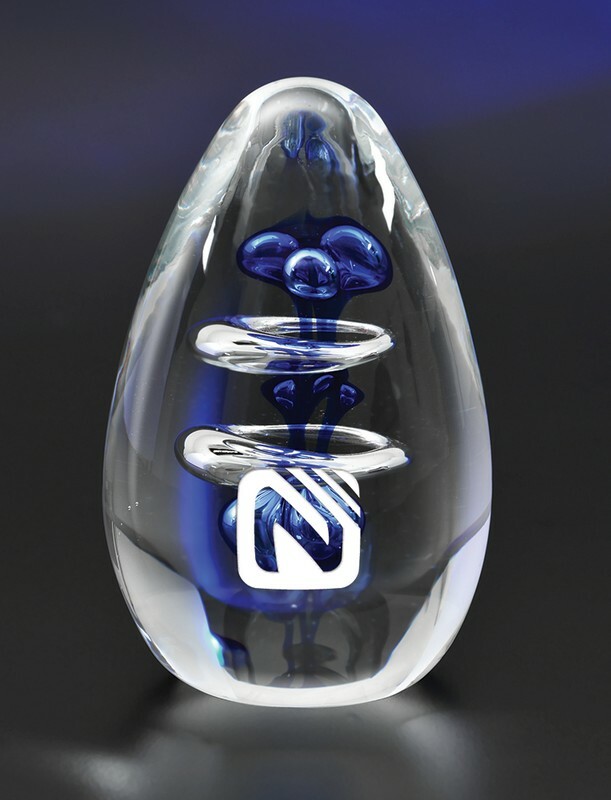 This art glass award includes complimentary gold or silver color fill to enhance your logo or message. Please note color on your order. Personalization fee's, and Optional 2nd location engraving fee's are included with the set up fee.